I had Satar many times before. 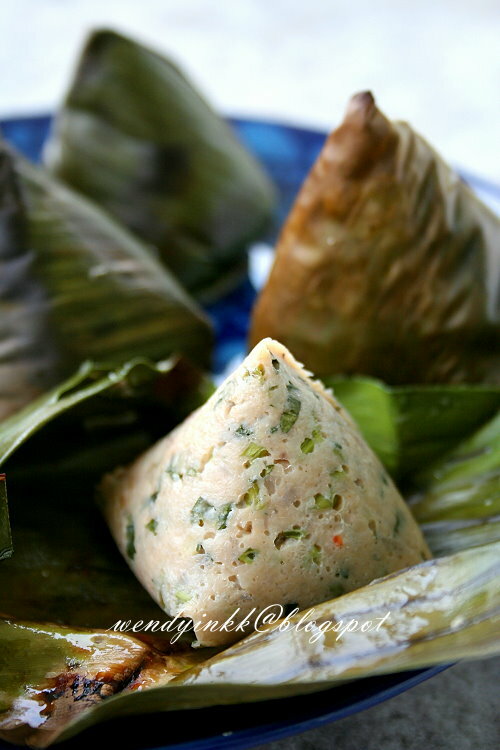 Flaky fish parcels that bursts with sweetness from the coconut and onions. It's origins are from Terengganu. But they are sold almost everywhere nowadays. When I went to Pantai Bachok in Kota Bahru, I saw this satar stall and as usual, I will buy some. To my surprise, there was a crunch factor in it, and it was green! I asked the lady what was the green crunch and was told it was water convolvulus or locally known as kangkung. Being the inquisitive me, I asked whether this was Kelantan's style and she happily said YES. I tried to replicate it and I'm glad mine tasted alright, but sadly without the smoky fragrance as mine were oven grilled. The texture was soft and flaky, unlike fishballs were we expect them to be bouncy and very smooth. And they were juicy. Not spicy. But I think I should use more shallots. I also chose to use aquatic kangkung as these grow on water and are known to have crunchier stems. 1 tsp asam pulp mixed with 50gm water, rubbed to dissolve. 2. Put in coconut together with fish. Add in salt, sugar, pepper and asam water and mix until combined. 3. 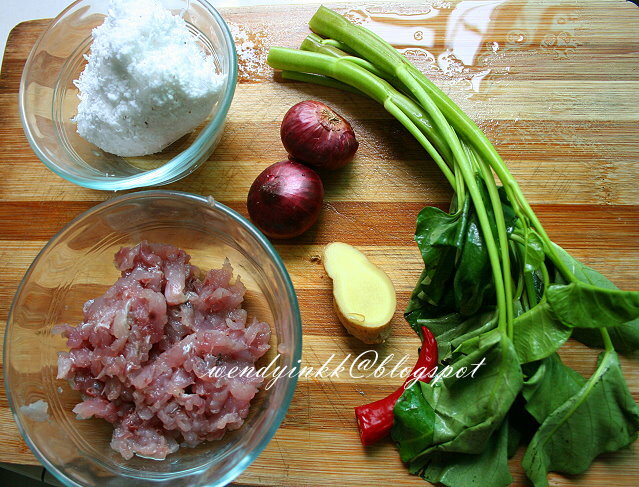 Thinly slice kangkung and mix it in. It's is now ready for wrapping. 4. Wilt banana leaf over open flame or blanch it in boiling water. 5. 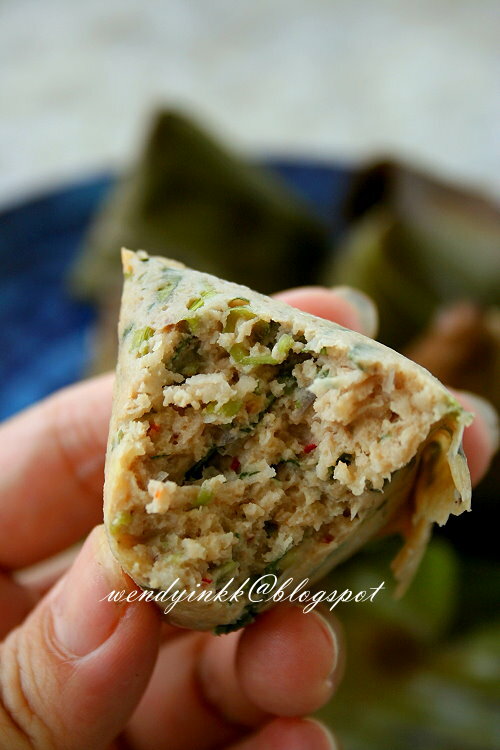 Fold banana leaf into quarters and open up a pocket. Fill in one heaped Tbsp of fish mixture. Press the mixture to fill the corner on the bottom. Fold the top to close up. 6. Grill at 220(fan forced) or 240C for 15 minutes until the parcels release juices and the leaves start to char. *Traditional recipes call for pounding, but I used my chopper to do all the pounding work, with the same sequence. ngape tak pakai cili padi or cili api? Wendy, your satar looks yummy and your folding banyak cantik! Hi Wendy! 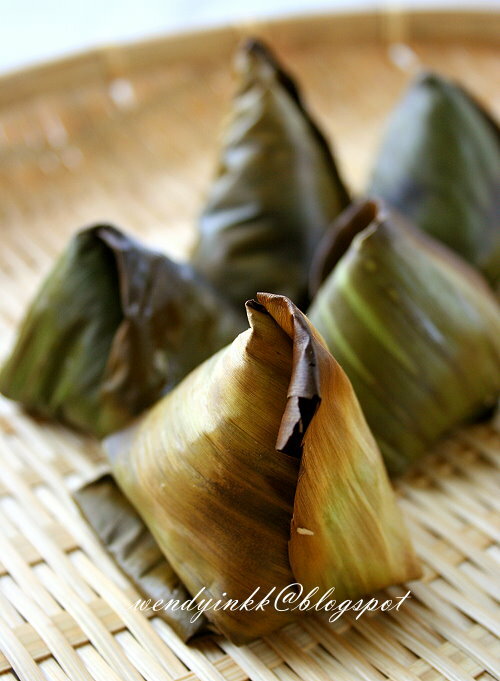 I realize I have not tried a lot of the yummy Malaysian food that you feature on your blog! Are these like Otah? I love MFF event, I learn lots of Malaysian Food from here. A lot of this food are so yummy and full of original flavours. This looks yummy! Will give it a try. I might have to just grill it in al foil though, since i can't source the banana leaf. I think the kids will love it, and egg free too! Thanks! Hi, We live oversea, and trying to find sardine flesh is kinda hard, can we substitute with mackeral?